LOCKED OUT YOUR CAR? KEYS LOCKED IN YOUR TRUNK? Parsons Lock & Key can be at your location in minutes to get you on your way quickly. If we can’t be there within minutes, we’ll be upfront and tell you so. We guarantee damage-free openings. The price we quote is the price you will pay, which is also guaranteed. Please be aware that there are people that advertise a low price to unlock your car, but when they get done, find a reason to charge you $100 or more. Watch this investigative report on locksmith scammers. This is a very common problem. Depending on the make of your vehicle and how deep the broken piece is down into the lock will determine how difficult the job will be. Please contact us for a free estimate. With only a few exceptions, Parsons Lock & Key can replace most lost keys to your vehicle. This includes transponder keys that have an electronic chip embedded in the head of the key. This antitheft device prevents vehicles from being started by a thief. We can also duplicate your existing keys, often at a price less than the dealer and while you wait! 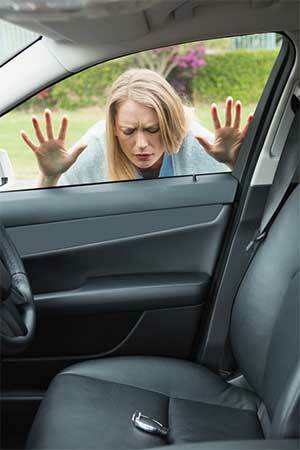 IS YOUR IGNITION LOCKING UP OR STICKING ON YOU? Another common problem with many automobiles and trucks is a sticky ignition. Parsons Lock & Key’s mobile service vans can come to your location and either rebuild or replace your defective ignition key cylinder. We have most parts in stock and can even match the new ignition to your old key, eliminating extra keys to your vehicles. If your keys have been stolen along with your driver’s license, there is the possibility that the thieves can return and take your vehicle. Parsons Lock & Key can rekey all the locks on your truck, car, or SUV to prevent that from happening. If your vehicle has transponder keys, there are times when we can simply delete any missing keys from the computer, preventing the vehicle from being taken. MISSING A KEYLESS REMOTE OR NEED A DUPLICATE? As you probably already know, obtaining an additional remote or key fob for your vehicle can be very expensive. We have access to deeply discounted key remote inventory. Contact us for a quote for the cost to replace the exact model of key fob for your vehicle and the cost of programming. If you purchase the remote yourself, we can still program it but cannot guarantee that it will work, as there are many knockoff keys available. Remember that a low price usually means low quality.